A delegation from Al Falah University visited the Sharjah International Book Fair today, Tuesday, 8th November 2016 which is held annually since 1982 under the patronage of His Highness Sheikh Dr. Sultan bin Mohammed Al Qasimi, Supreme Council Member and Ruler of Sharjah. The delegation was headed by Dr. Sameer Al Barghouthi, Vice President for Academic Affairs with Dr. Mohammed Desouki, Dean of the College of Law, Prof. Amjad Nasser, Director of Quality Assurance and Institutional Effectiveness Center, Mr. Emad Hamdy, Head of AFU Library in addition to a number of faculty members and administrative staff. The delegation also toured the whole exhibition during which they were briefed on the latest versions of books and the role of local and international publishing. 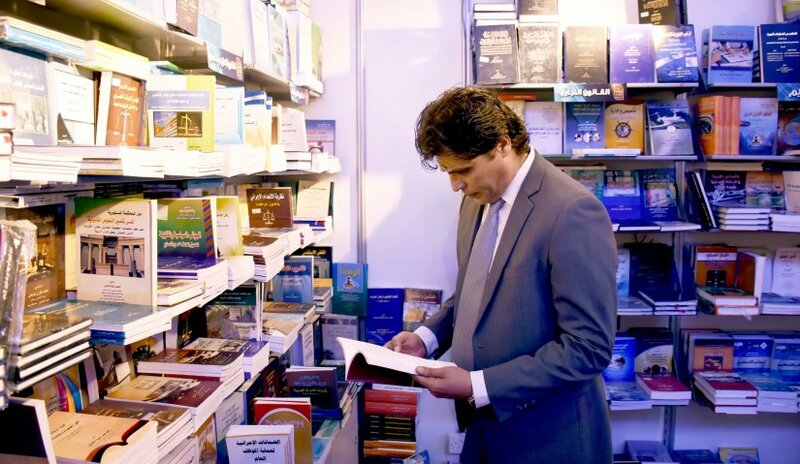 In addition, participation of hundreds of NGOs, distributors, booksellers and publishers, cultural institutions, public libraries, research centers were present along with publishing houses with more than 1.5 million published titles.